Lindy Shopper and I went on over to one of our favorite Vintage shops here in Greensboro this weekend, Design Archives, to check out their 50% off sale! 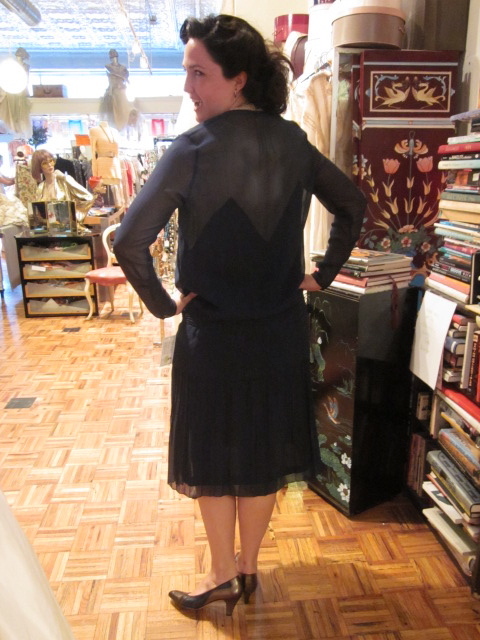 She went away with a fabulous novelty print skirt, and I scored a beautiful yellow 1920’s slip dress. 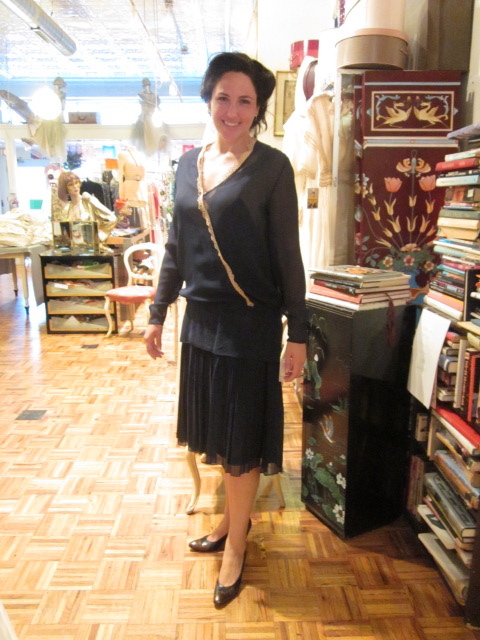 I also tried on this Navy 1920’s drop waist dress, but decided on the yellow instead.